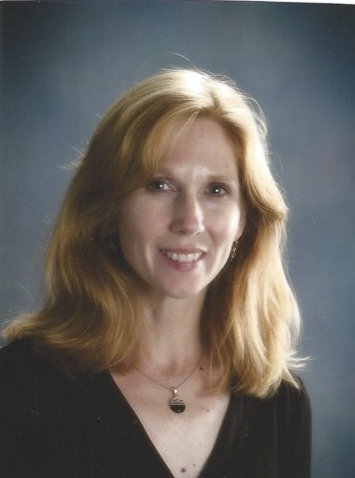 Ann Hanna is the new principal of Riverton Elementary school. Previously, she was the assistant principal of Ocean Avenue Elementary School and was named Maine’s Elementary School Assistant Principal of the Year in 2016. As an educator, what about “back-to-school-time” do you enjoy the most? I think it’s the excitement and the build-up of the first day of school. It’s a privilege to be able to stand out in front of the school to welcome students and see their excitement and anticipation for the first day, for meeting new teachers and friends. That same excitement is on the teachers’ faces; they have that same sense of excitement for the year ahead and for meeting their new students. I also just love seeing the school when it’s ready for the first day, with the floors all shiny and freshly waxed, and pencils all sharpened. Plus, everything smells so good since the building is clean again. It’s that anticipation. You were recently made principal after being named Maine’s Assistant Principal of the Year in 2016. How do you think your experience in your previous position prepares you for the upcoming year? What goals have you set for yourself and Riverton for the ‘17-’18 school year? My first year is truly going to be a learning year. My goal is to spend as much time listening to students, staff, and families to learn as much as I can about the school. To do that, I need to be visible. I need to be out in the building and the community as much as possible, and working to advance the mission and vision of the school and working to see what I can do to help improve what’s already going on. How do you plan on synthesizing Portland community programs, like Starting Strong, with the community of Riverton Elementary School? I believe that when schools, community partners, and organizations work together in partnership that it helps to extend a common vision: to help the school and its students be as successful as they can be. My plan is to look for opportunities for partnerships to happen, to plant a seed for partnerships to grow. It may take time. Part of me wants to be eager about it and get everything going right away, but I know I have to give the school and the community a chance to get used to having me here. I also want to look for more ways for community partners to promote the school as a great place to be, and help shine a more positive light on Riverton so that people can see what great stuff is already happening here. What excites you the most about your new position and the year to come? It’s hard to say what excites me the most. I think it’s getting to know the school, getting to know the students and families, and getting to know the things that people are most proud of at the school. There are tennis courts, the ballpark, and the gardens, and the school itself has such a rich, diverse community of people. I’m just really honored. I feel a sense of privilege to have this role, that I can be a part shaping what happens next with the school. We have a lot of momentum at the school and I just want to keep it going. Read any books this summer that you would recommend? I read a lot, I love to read. My school is reading the book, Mindsets in the Classroom [by Mary Lay Ricci]. It revolves around helping to build a culture in a school, thinking about the growth mindset, and helping everyone look at their learning as something that can happen at any point, anywhere. The book is about having a culture that addresses that, getting kids to say, “I might not know this, but I can learn,” rather than saying, “I can’t do this, this is too hard.” Even with staff, too. I haven’t finished it yet, but it’s really good. Personally, I just finished reading Saints for all Occasions [by Courtney Sullivan]. A nice novel.